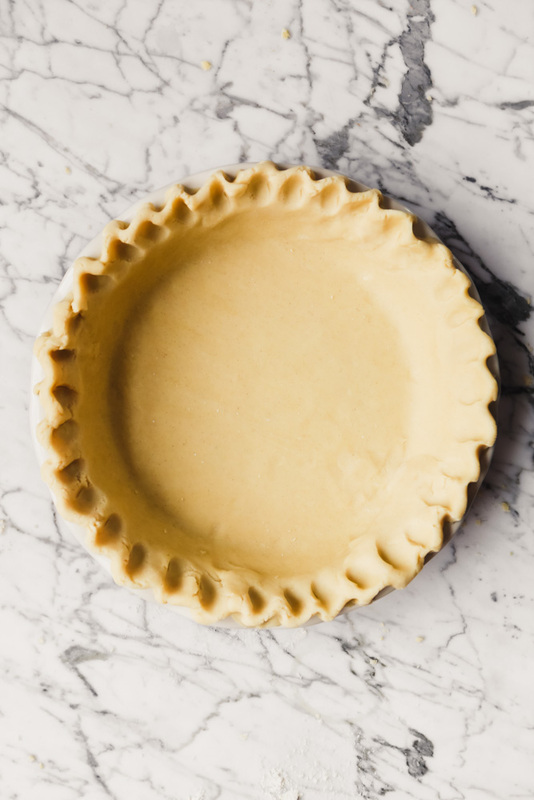 In this step-by-step tutorial you’ll learn how to make the perfect gluten-free quiche crust (or pie crust). Just a few simple ingredients is all it takes to create a delicious, flaky gluten-free quiche crust. 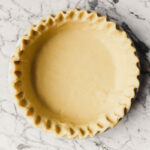 What flour to use for gluten-free quiche crust? Arguably the most important part of gluten-free baking is the flour blend you choose to use. In general, it’s important to find a blend that works at a 1:1 ratio to regular all-purpose flour. You’ve probably heard me talk about them before, but I love what they’re doing over at NuLife Market. 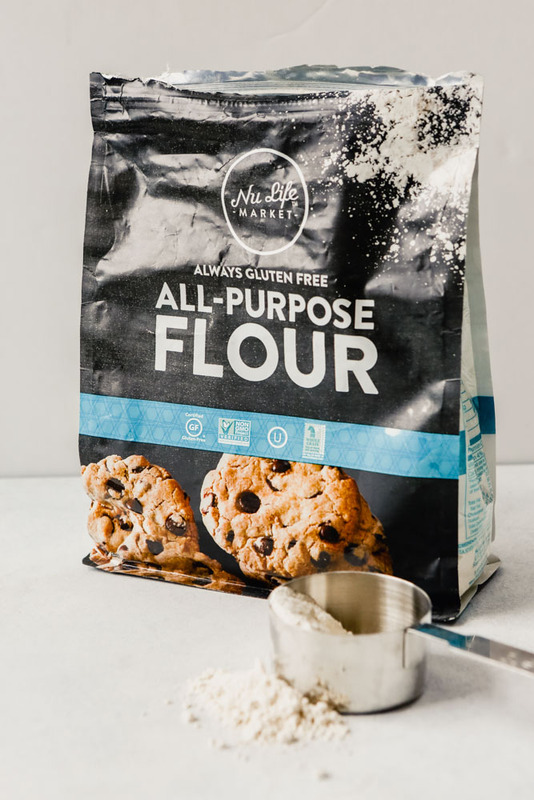 Their 1:1 gluten-free all-purpose flour blend works seamlessly with any and all recipes, even those developed using regular all-purpose flour. Their unique blend of whole-grain sorghum flour, potato starch, tapioca starch and xanthan gum makes it incredibly versatile and reliable. 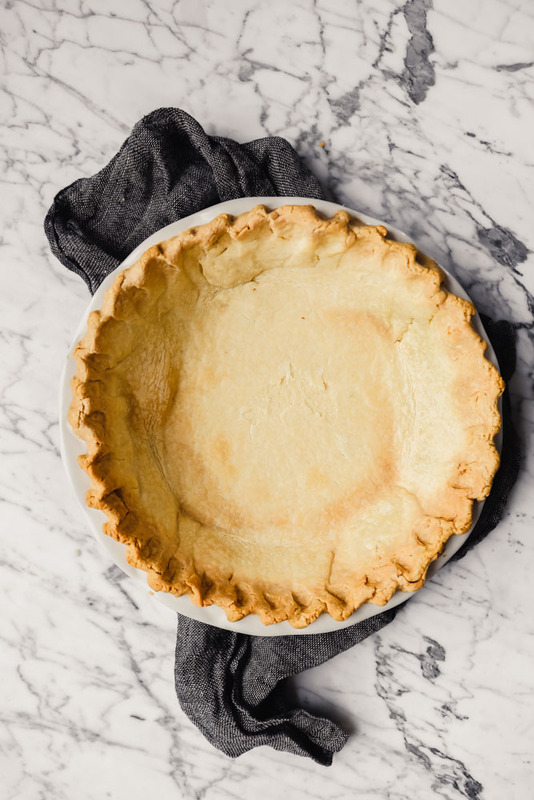 Making a gluten-free quiche crust (or gluten-free pie crust) is just as simple, if not a bit easier, than making a regular crust using regular all-purpose flour. The aspect that makes gluten-free baking so challenging also makes it less stressful—at least in this application. When it comes to making any quiche crust or pie crust, it’s important to not overwork the dough. In order to create a flaky crust, the key is to mix the ingredients together without mixing too much and encouraging gluten formation. Well that isn’t an issue in gluten-free baking. A blessing and a curse in most cases. But here, when making a gluten-free quiche crust it’s actually helpful! We can work the fat into the flour without worry too much about over mixing.
) out your dry ingredients. 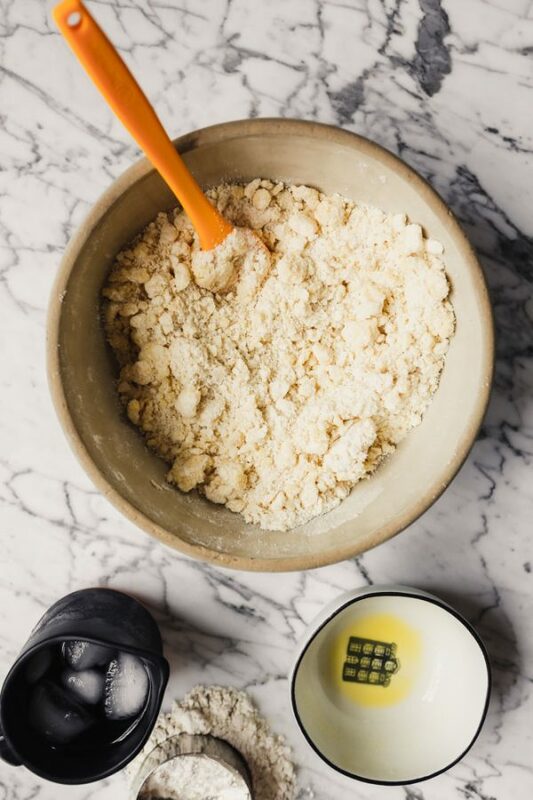 Combine dry ingredients (flour, sugar, salt) in a large bowl. 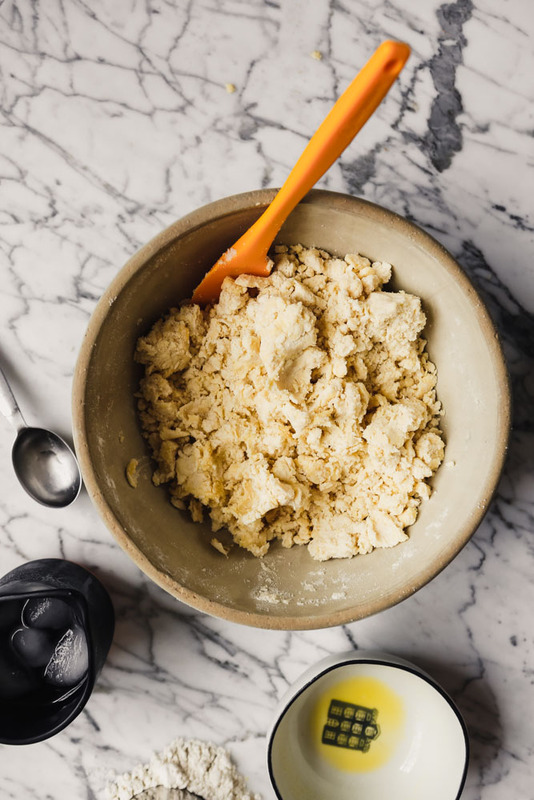 Cut butter into dry ingredients using a pastry blender or by pulsing in a food processor. 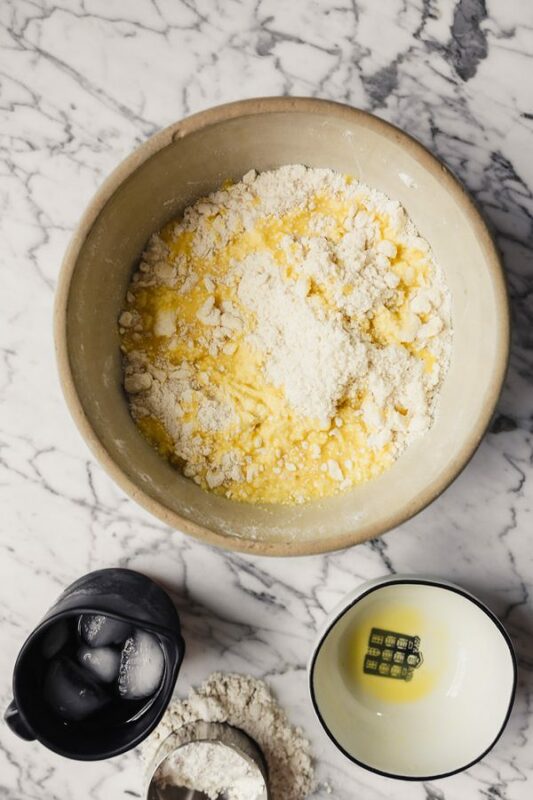 Beat egg and vinegar together then add to butter-flour mixture and use a spatula to mix just until combined. 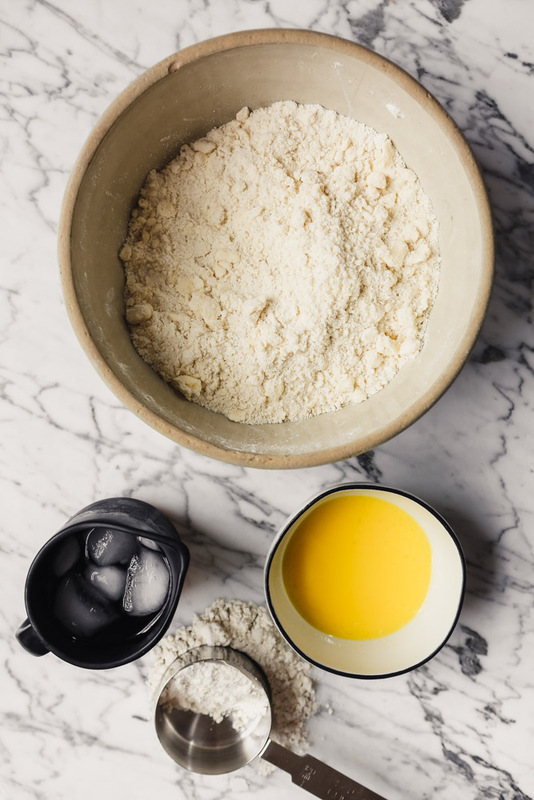 Add water to flour mixture, 1 tablespoon at a time, gently mixing after each addition, just until a dough comes together. Form dough into a disk, wrap with plastic wrap, and chill in the refrigerator for at least 1 hour. Use as directed in your favorite quiche or pie recipe! Can you use this gluten-free quiche crust for a pie? 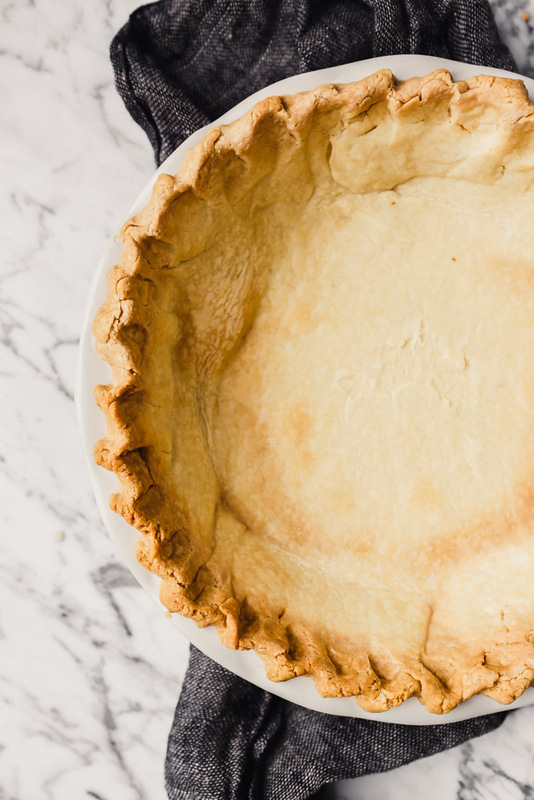 You can definitely use this gluten-free quiche crust as a pie crust. The only change I would make would be to increase the sugar from 1 tablespoon to 2 tablespoons. As the recipe specifies, it makes one single crust for a deep dish pie plate or two crusts for a regular pie plate. So double the recipe if needed. Perfectly crisp and flaky gluten-free quiche crust! Use in your favorite quiche recipe or pie recipe! Whisk together flour, sugar, and salt in a large bowl. 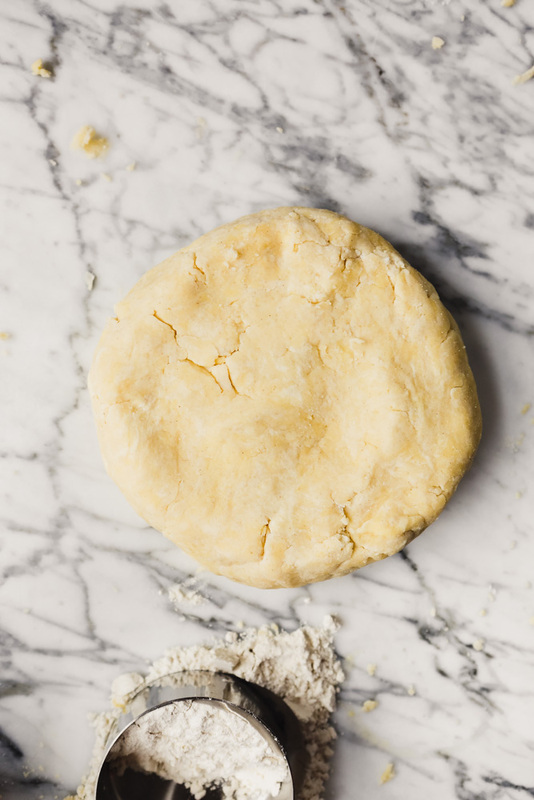 Cut butter into flour mixture using a pastry cutter until butter is pea-sized. Whisk egg and vinegar together until foamy, then stir into flour mixture just until combined. Add water 1 tablespoon at a time, mixing after each addition, until a dough comes together. Add flour, sugar and salt to a food processor. Scatter butter over flour and pulse until it resembles a very coarse meal with some butter pieces pea-sized. Whisk egg and vinegar together until foamy then pour over flour-butter mixture, pulse just until combined, about 5 pulses. Add water 1 tablespoon at a time, pulsing after each addition, until a dough comes together. Form dough into a disk (for a single deep dish crust) or form into 2 disks (for two regular crusts, or a regular double-crust pie), wrap tightly with plastic and chill at least 1 hour. Use as directed in favorite quiche or pie recipe. Heat oven to 375° with rack set in middle position. 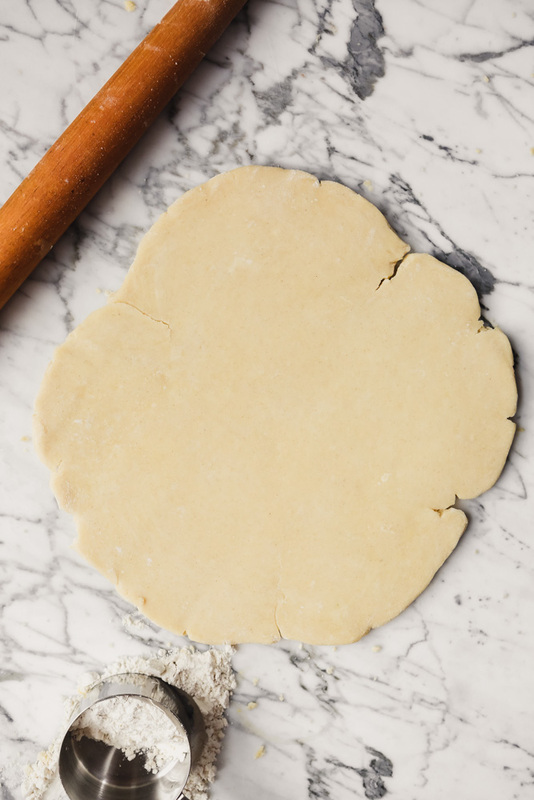 Roll dough out into an 11-inch, ¼ -inch thick round, transfer dough to a 9-inch deep dish pie plate and gently press into bottom and up sides. Fold edges under and crimp, freeze 20 minutes. Line pie shell with parchment paper and fill with baking weights or beans. Bake crust until edges are golden brown, and bottom is set 40–45 minutes. Remove parchment and baking weights, and bake until bottom is golden brown about 15 minutes more. Use as desired according to quiche or pie recipe.